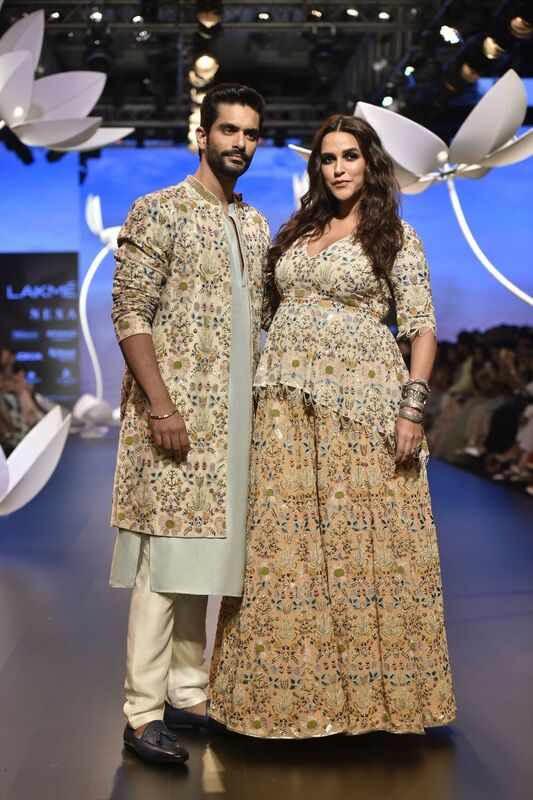 Actress Neha Dhupia, who is expecting her first child with actor-husband Angad Bedi, showed off her baby bump while walking for designer Payal Singhal at the ongoing Lakme Fashion Week (LFW) Winter/Festive 2018 in Mumbai. She walked the ramp with her husband Angad for Singhal’s show titled “The Showstopping Bride”. Neha said that it is a “memorable” moment for her. 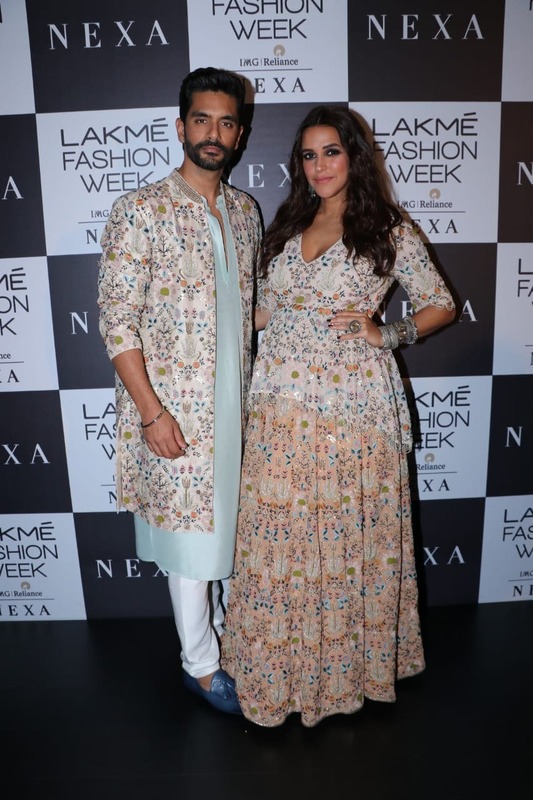 “It’s been amazing to be on the ramp looking and feeling like this… A lot of people take a break and won’t come to work, but that’s not true,” Neha told IANS. “I believe in ‘work thy saviour’. I have been a workaholic… Coming here and being with the one you love the most and wearing the designer you love excessively… has been great,” added the actress, who was seen in an embellished lehenga and choli. Talking about Angad’s reaction to her pregnancy, Neha said, “His reaction was really amazing. 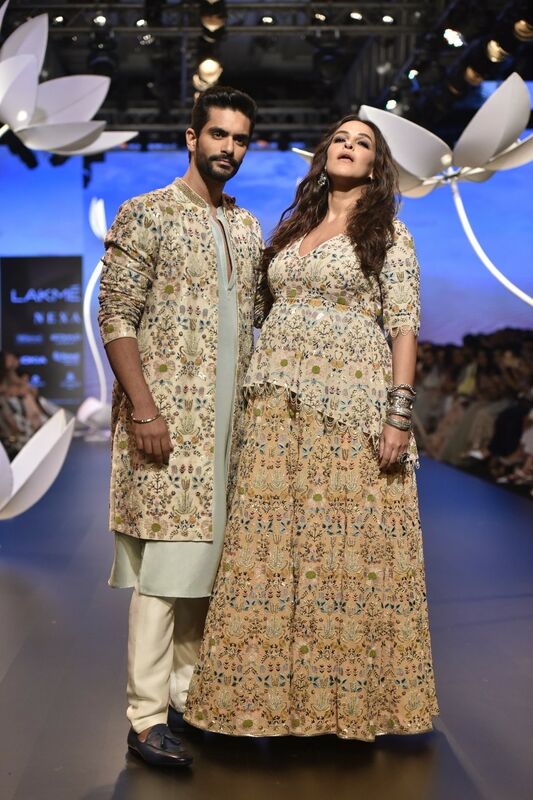 He is going to make a rock solid father as he is a rock solid husband… I can’t wait to see him change diapers.” Angad, who looked dapper in an embellished sherwani, was happy to walk with Neha on the ramp. The son of ex Indian cricketer Bishan Singh Bedi said that he ran behind Neha for 15 years and this is the first time he was “actually walking with her”. Singhal’s show was held in association with the Lakmé Salon. The line was inspired by folk art tapestry.